There’s an opportunity to volunteer with us. If you’re planning your gap year, this might just be for you! Here’s a shortened version of the ad. 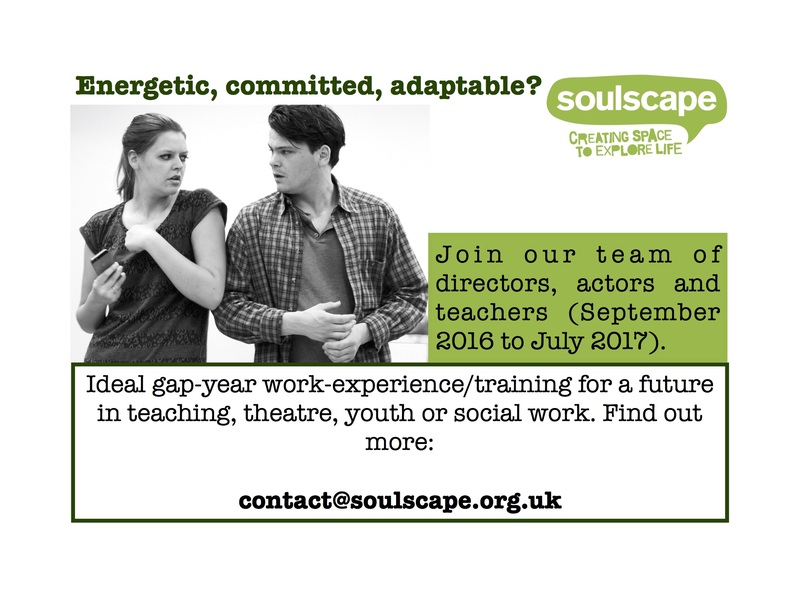 Join our creative team of actors, directors and teachers. We look forward to hearing from you at: contact@soulscape.org.uk. Remember, we need your application by June 10th!